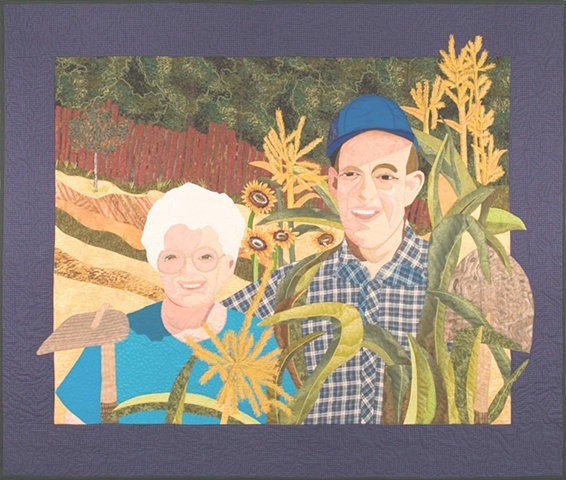 This quilt depicts my mom and dad in my sister's cornfield posing like the painting American Gothic by Grant Wood. Hence the name, American Gothic. My dad has since passed away, making this quilt more valuable as a piece of family history.